Thank you so much for stopping by today! I'll see you again very soon! I love this box for beginners or anyone who wants to try a new technique. 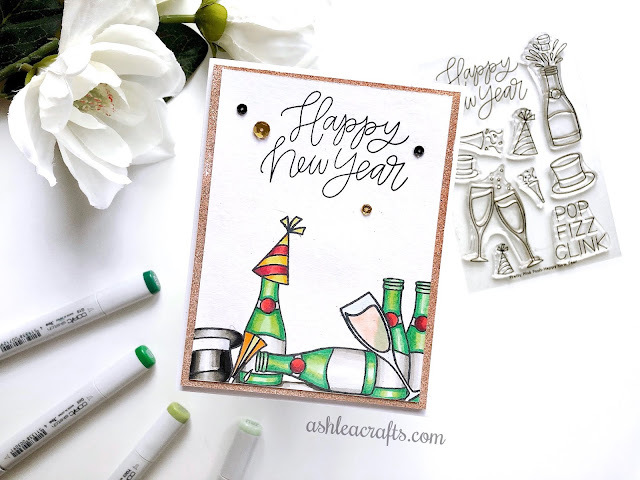 The box is put together so well and includes everything down to the last embellishment needed for all 4 cards. They're also packaged separately according to card in handy zip lock storage bags so you can store them and revisit later if you wanted. Thank you so much for stopping by today! I'll see you very soon! Hey, friends! I'm thrilled to be guest designing over at Hedgehog Hollow this month! 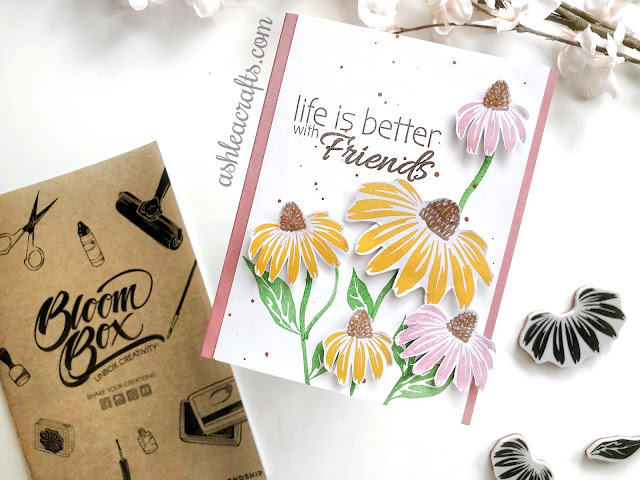 This month the box is filled with Pretty Pink Posh designed products and it does NOT disappoint. 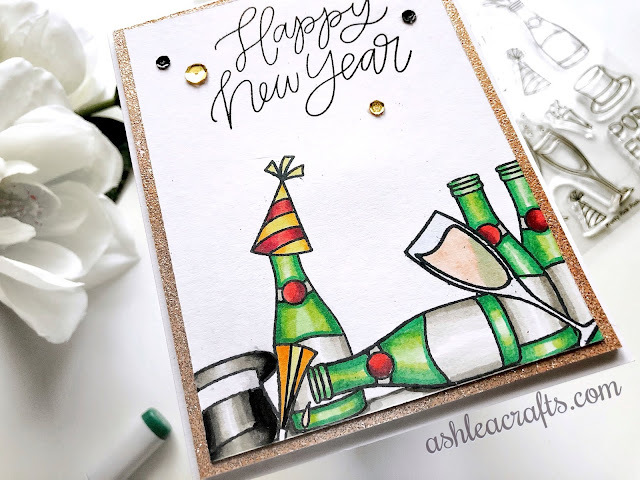 I decided to create a "morning after" New Years Eve card with the stamp set included in the box. Here's a video of my creative process! For more information, I'm over on the Hedgehog Hollow blog! Check it out HERE. Hey everyone! Thank you so much for stopping by today. I'm showing some of the Great, Big, Wonderful World collection dies by Spellbinders today. I just love the silhouette dies and think using them on cards leaves so much room for creativity for backgrounds and such. 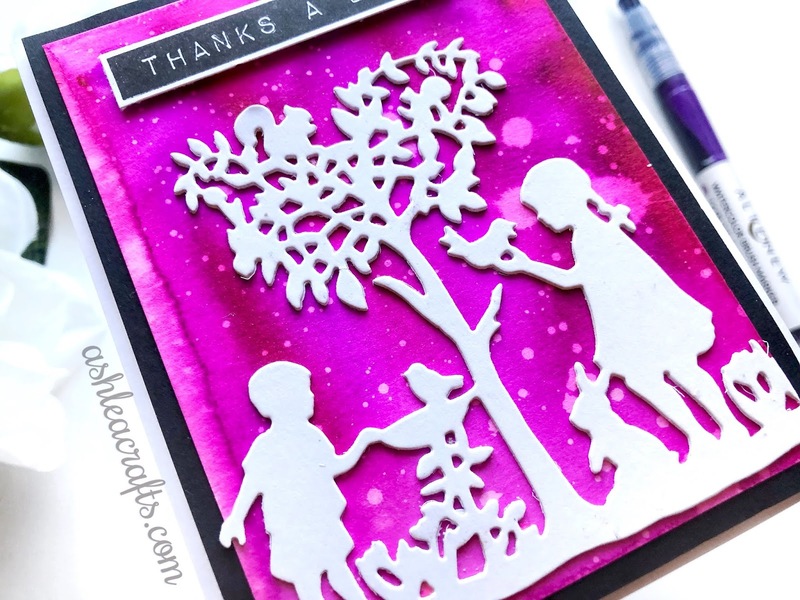 I thought the tree in the center of this silhouette looked a bit like a heart shape, so I knew I wanted to make the background a bright and vibrant pink/purple color. 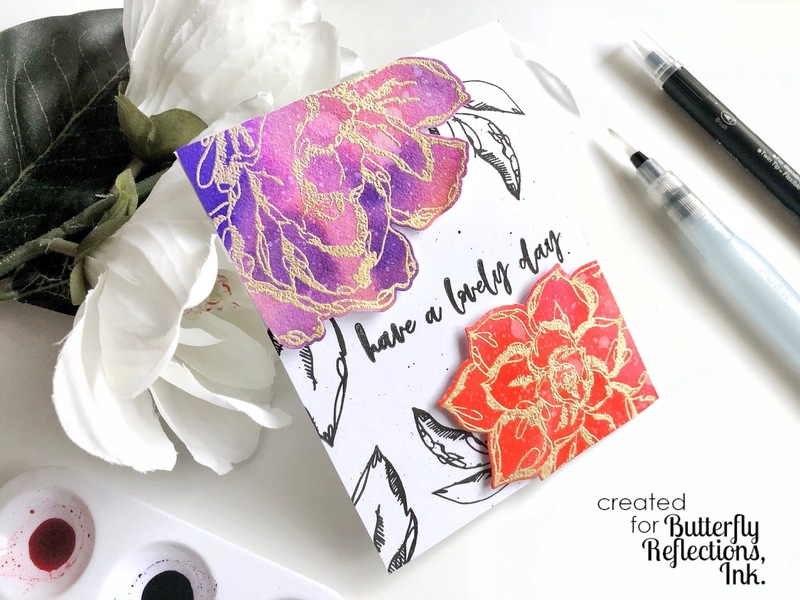 To do this, I wet a piece of watercolor card stock with clean water and dripped some Altenew Watercolor Brush colors in purple and pink right onto the top of the card stock while holding it at an angle. Seriously, that is all I did to create this background. It was the easiest thing and I LOVE the way it turned out. To create the light spots, I sprayed my distress sprayer onto the card stock after the watercolor had dried and then sopped it up with a paper towel. I then die cut the die out of two pieces of white card stock and stacked them to add some bulk and structure to the die. I adhered it to my card front and added a matted black background before adhering it to an A2 sized card base. 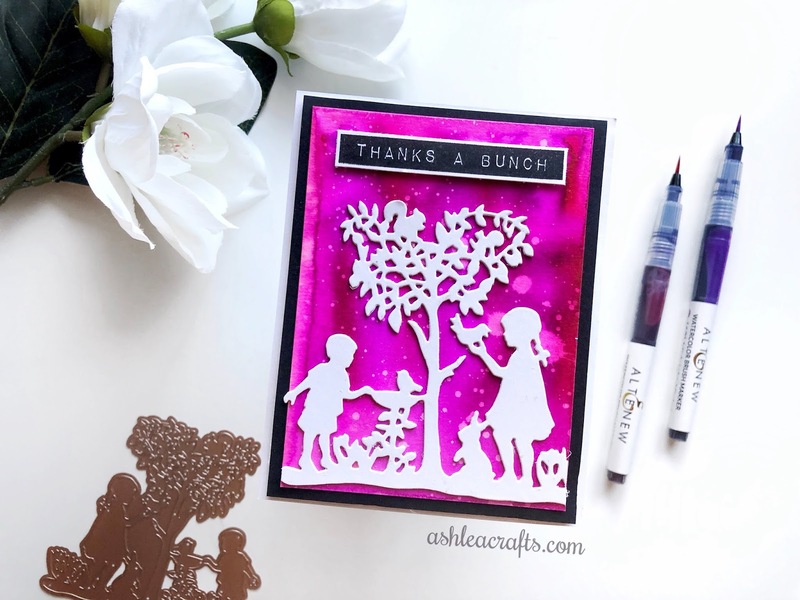 I absolutely love the way this card turned out and the silhouette die made it an absolute breeze! There are lots of options so be sure to check out the full collection linked HERE! Thank you so much for stopping by and I'll see you again very soon! Hello there! Im so happy that you stopped by today! 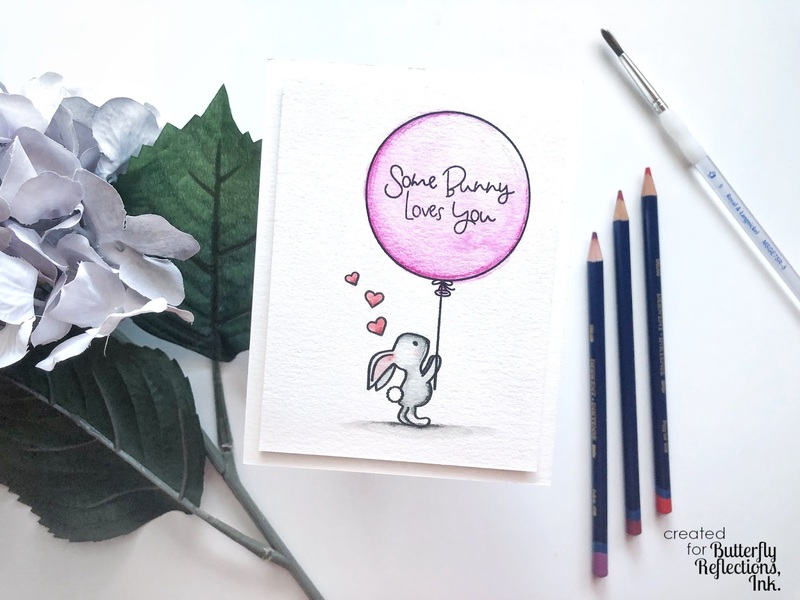 I'm over on the Butterfly Reflections Ink blog (LINKED HERE) with this simple and adorable watercolored card using Avery Elle stamps and Inktense pencils. I've also got a video that goes along with it which you can find right below! Thanks so much again for stopping by! I hope you enjoyed the video! If you missed the blog post with more info on the products its linked again HERE! See you soon! I hope that you enjoyed the video! 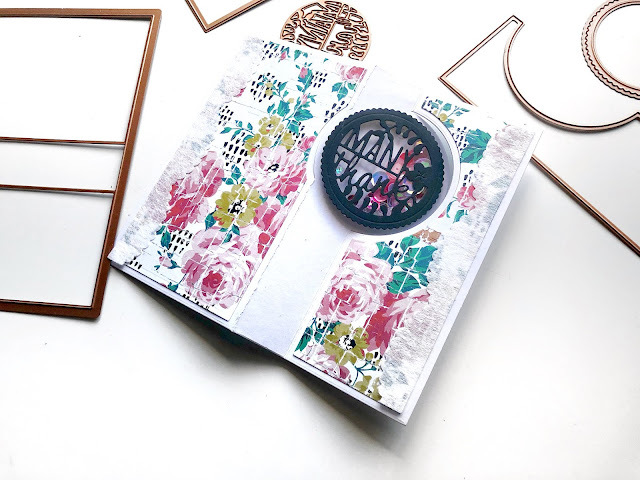 For all of the info you need for the Spellbinders die kit clubs CLICK HERE.